To enhance your experience at Rievaulx we are currently carrying out an exciting renovation project. 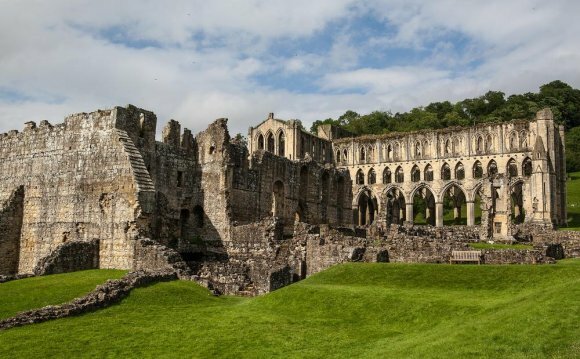 From 28 May 2016, our new museum will open displaying previously unseen objects that shed light on the uniqueness of Rievaulx and the fascinating people who founded and developed the Abbey. Alongside this we are creating an enlarged visitor centre complete with an enlarged tearoom boasting stunning views over the Abbey, as well as improved shop and toilet facilities. The Abbey will be open to visitors throughout the work but we encourage drivers to park in the nearby village of Helmsley, located just 3 miles away, and take advantage of the beautiful walking route along the scenic Cleveland Way due to reduced parking on site. We'll be providing a range of light refreshments until our new facilities open in May 2016 and for those looking for something more filling, make sure you visit nearby Byland Abbey Inn serving some of Yorkshire's finest offerings in the tearoom and see one the finest example of mediaeval tiles in the country next door at the beautiful Byland Abbey.